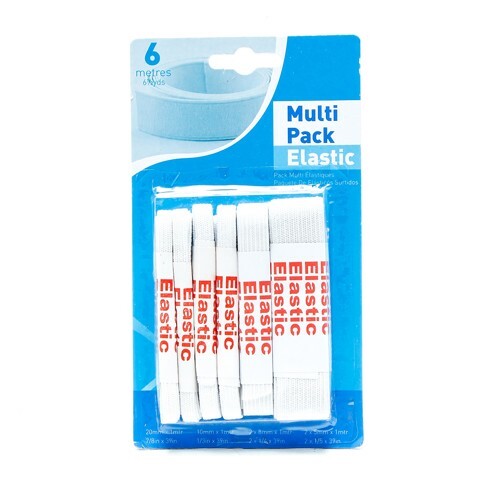 Elastic Multi Pack 6Asst. 20mm x 1m l 10mm x 1m l 2 x 8mm x 1m l 2 x 5mm x 1m. White. Rubber | Cotton. 48G Packaging: Blister Card.